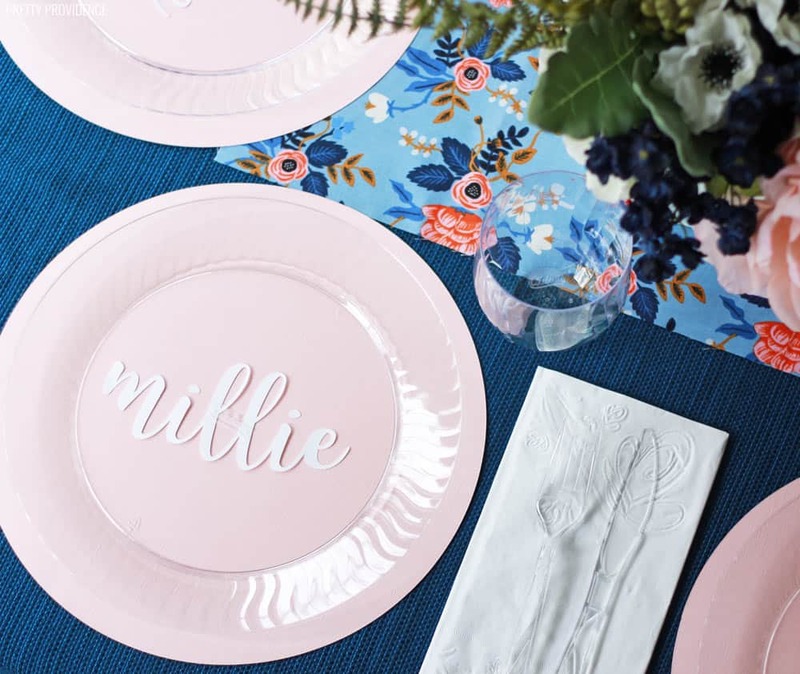 These easy DIY name placemats are perfect for any table setting! This post is sponsored by Chinet, as always, all opinions are my own. 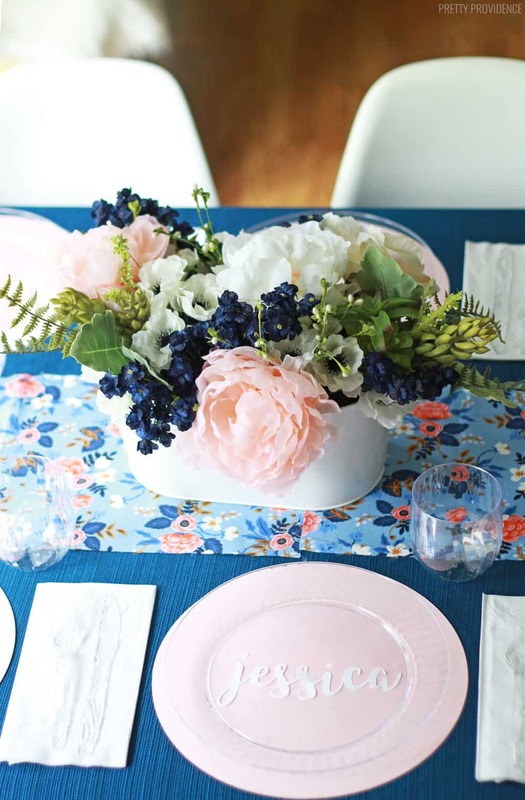 Last week, I put together a baby shower table full of all of my favorite things right now (pink, blue, floral!) and I shared it all over on the Chinet ® brand blog. You’ll have to head over there to see all the details. I really wanted to make the table settings feel personal, so I made paper placemats out of card stock to go under the Chinet ® Cut Crystal ® dinner plates. I think they turned out SO cute. They were amazingly easy, too. I almost bought chargers that were $4 each and then realized that I could make something that would look amazing, and save so much money. I used my Cricut to cut the paper for these, but I’m sure you could do something similar without having one! I made these 11 inches in circumference, but as a general rule you should make yours to be one or two inches bigger than whatever plate you’re using. Set machine to cut card stock, and cut out the circle. Repeat as many times as needed. Next, type the names of your guests in your favorite font and size them how you like in the design software. Cut names out. I did three or four at a a time on each sheet of card stock. Use Mod Podge to glue the names onto the paper placemats. See? 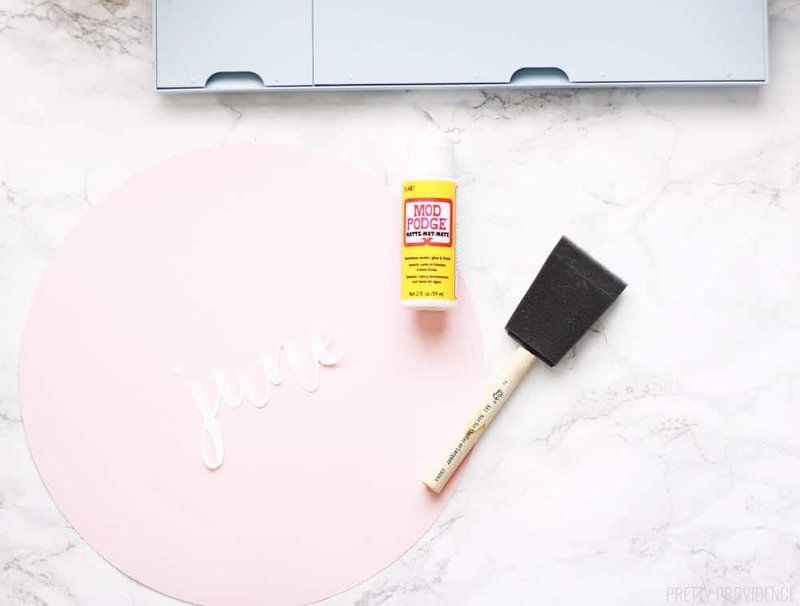 It’s SO easy to make pretty, personalized paper place mats! Trace circle onto scrapbook paper and then carefully cut them out with scissors. 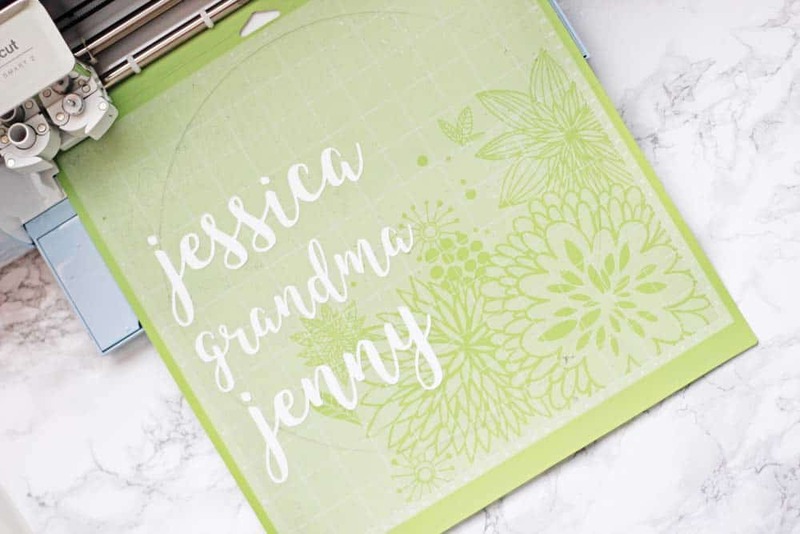 Print names of guests onto card stock using your home printer or have them printed at a copy store. Cut them out and use Mod Podge to attach names to place mats. Let dry. Arrange accordingly under Chinet Cut Crystal plates. 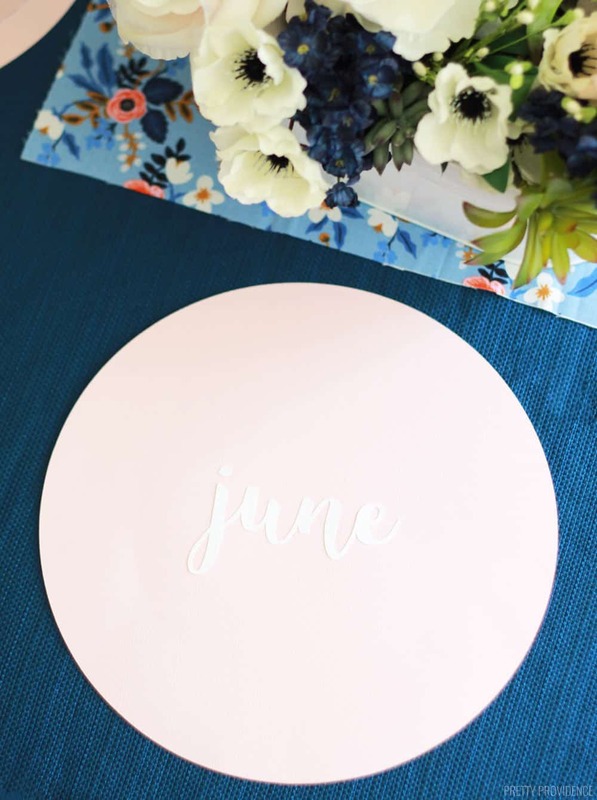 *Alternative – find flat alphabet stickers to use to add names to your placemats. I love how these turned out and I’m saving them to re-use them again! The pink and white makes it so that they could work with lots of different décor themes. Remember to check out the whole beautiful table over on the Chinet blog, and my tutorial for making the pink and navy flower arrangement is right here. I used cardstock for these! I think any heavy card stock or paper would work well.